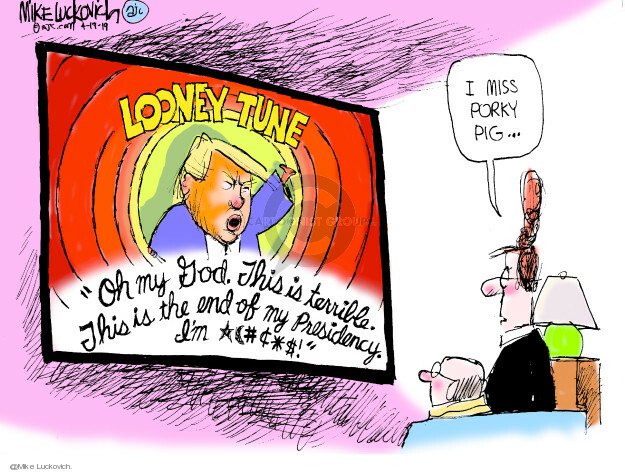 editorial, editorial cartoon, end, God, looney, Mike, miss, pig, porky, Presidency, tune. Search Mike Luckovich's Editorial Cartoons using keywords and more! Access Mike Luckovich's Editorial Cartoons by alphabetical subject.